Axial flow fans are direct drive with adjustable pitch aero foil designed. 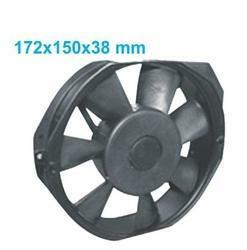 The fan blades are of Glass reinforced polyamide/ polypropylene of Aluminum & pressure die cast alloy hub. The fan is directly mounted on the motors shaft using taper lock bush for execllent gripping. Maximum Pressure: 53 m Gc. To meet huge market demands, we are involved in offering best quality of Axial Flow Fan. 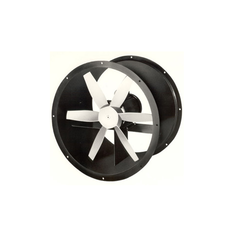 This Axial Flow Fan is manufactured using high grade material and tested for their quality assurance. Moreover, the offered Axial Flow Fan is extensively used for exhaust in miracle mills and in a wide variety of applications.